He served in the Royal Navy on the arctic convoys during WW2. During WW2 Benfleet resident Douglas Joyce served in the Royal Navy as a seaman. His service was on the heavy cruiser HMS London. This article records his service on the Arctic Convoys including PQ17. 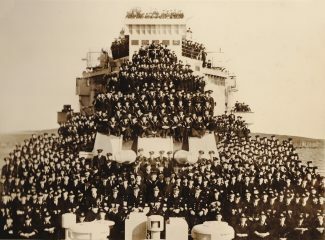 HMS London was the flagship for PQ17. Mr Joyce was on the bridge when Admiral Hamilton received the “Convoy is to scatter” message at 21:36 on the 4th July 1942. Mr Joyce is probably the last surviving person who was on the HMS London bridge that day. The video describes his joining the Royal Navy, the Arctic Convoys, the order to scatter PQ17, Jo Stalin’s lack of support, the dangers of having seaplanes on a cruiser, and visiting Murmansk. Mr Joyce received several medals for his Arctic Convoy service including a Russian Ushakov medal in 2014. After the Arctic Convoys HMS London went to Alexandria and served in the Indian Ocean. 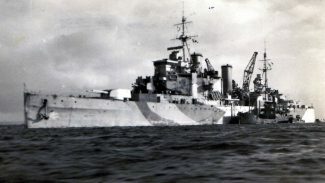 My dad was on HMS London. I wish I had information about him, he was a Petty Officer probably called Lofty Chapman. My uncle, George Cumby was on this ship during the Yangtse incident. I have his medal and papers following his death. Anyone know Him? Thanks George Teece. My late father died March 2016 aged 92, served on HMS London as gunner – Anthony Taylor (Tony). It was great to see Mr Joyces memories of the artic convoys. 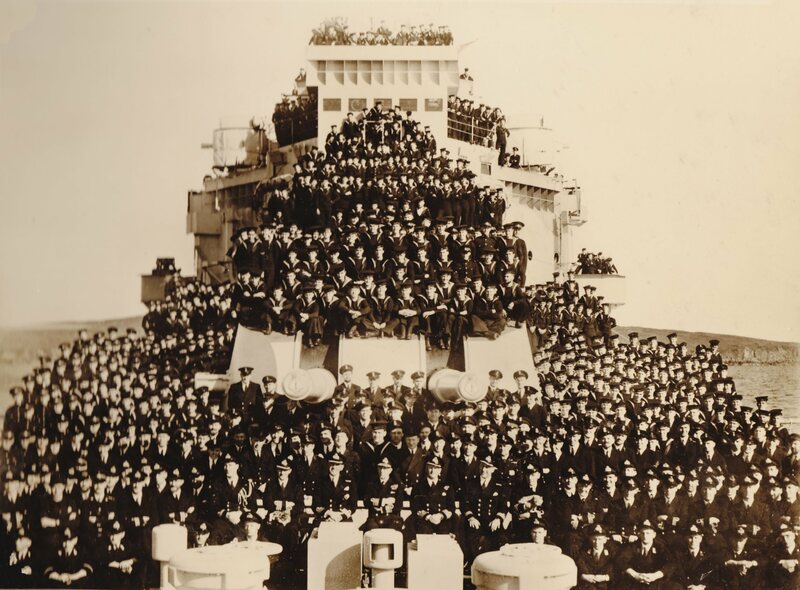 My great grandad was a CPO on the HMS London We have a copy of the same crew photo. and I can see him in crew photo. I wonder where the photo was taken. Mr Joyce’s recalling his role and experience in the Royal Navy were good to hear, speaking myself as a former cold war warrior serving between 1976 and 1994 in the Royal Navy. 1943 Bomber Command Loss. 620 Squadron. 1945 Bomber Command Loss. 35 Squadron. Flt. Lt. Leonard Aubrey Crozier. Pilot. No.141472. (Photograph added). Grave of Donald Kenneth Upperton. No. 960486. Grave of James Tales. Flight Sergeant. No. 755804. Grave of Sapper John Pratt. No. 1889240. Grave of Victor Samuel Ellen. No. 6027768. In Memory of Stanley William Layzell. 1944 Casualty. In Remembrance Memorial. 1940 Casualties. In Remembrance Memorial. 1941 Casualties. In Remembrance Memorial. 1942 Casualties. In Remembrance Memorial. 1943 Casualties. In Remembrance Memorial. 1944 Casualties. In Remembrance Memorial. 1945 Casualties. In Remembrance Memorial. 1946 Casualties. Killed In Action 1941. Not Commemorated Locally. Killed In Action 1942. Not Commemorated Locally. Killed In Action 1943. Not Commemorated Locally. Killed In Action 1944. Not Commemorated Locally. Killed In Action 1945. Not Commemorated Locally. Killed In Action 1946. Not Commemorated Locally. Killed In Action. 1940. Not Commemorated Locally.